David Villa Sánchez (Spanish pronunciation: [daˈβið ˈβiʎa]; born 3 December 1981), nicknamed El Guaje (Asturian: The Kid), is a Spanish footballer who currently plays as a striker for FC Barcelona and the Spanish national football team. He can also operate as a winger. Despite sustaining a serious injury as a child, he started his professional career with Sporting de Gijón. He moved to Real Zaragoza after two seasons, where he made his La Liga début, winning his first senior honours—the Copa del Rey and Supercopa de España. He joined Valencia CF in 2005 for a transfer fee of €12 million and was part of the Valencia team that won the Copa del Rey in the 2007–08 season. In 2010 he moved to FC Barcelona for €40 million where he won his first La Liga and UEFA Champions League titles. On 19 May 2010, FC Barcelona reached an agreement with Valencia, for the acquisition of Villa for the fee of €40 million. Villa signed on a four year contract with Barcelona, with the option for a fifth, worth a reported €7 million per season and thus, managed to follow in the footsteps of his heroes, Luis Enrique and Quini, both of whom, like Villa, started out at Sporting Gijón and ended up at Barcelona. 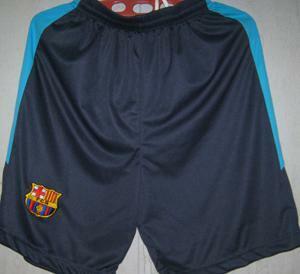 On 21 May 2010, over 35,000 Barcelona supporters packed into Camp Nou to see Villa's presentation, where he revealed the kit Barcelona would use during the 2010–11 season. He was given his favourite number 7, a number which had been free at the club since Eiður Guðjohnsen left in 2009. He made his first appearance for the club in the second leg of the Supercopa de España, during the second half as a substitute for fellow Spain international, Pedro Rodríguez. His début appearance would also see him win his first piece of silver-ware with the Catalonian side, as Barcelona won 4–0 and 5–3 on aggregate due to a hat-trick by teammate Lionel Messi. His first goal came during the Joan Gamper Trophy (an annual friendly competition) against Milan. Barcelona won 3–1 on penalties after the match had ended 1–1 during normal time. On 29 August 2010, Villa made his La Liga début with Barcelona against Racing de Santander, where he scored the third goal of the match to help seal a 3–0 victory. On 14 September 2010, Villa scored on his Champions League début with Barcelona in a 5–1 victory over Panathinaikos F.C. Against Sevilla, on 31 October 2010, Barcelona won 5–0 against the Andalusian side, while Villa netted a brace. His first goal that match was voted "The Best Goal Of The Week (October 25–31)" by the readers of Goal.com. Villa's first "El Clásico" came on 29 November 2010 where he scored two goals as Barcelona won 5–0 at the Camp Nou. Talking about the match, he commented that, "It's been a very important win. We looked for the victory and we got it. And the result and the manner in which we achieved it, you cannot ask for more.". He then scored a goal against Real Sociedad, a match Barcelona won 5–0. He followed with a brace against RCD Espanyol helping Barcelona to a 5–1 win. On 27 December 2010, Villa was named "Male Athlete of the Year" by the United States Sports Academy, as he edged fellow Spaniard Rafael Nadal and previous winner Manny Pacquiao for the title. On 28 May 2010, Villa scored the third goal — curling the ball into the net from 25-yards out — in Barcelona's 3–1 victory over Manchester United in the 2010–11 UEFA Champions League Final. After the victory, Villa said that he would like to dedicate the victory "to all my family, my daughters and also Pepe Reina's, who are like my nieces." Andrés Iniesta Luján (Spanish pronunciation: [anˈdɾes iˈnjesta luˈxan], born 11 May 1984) is a Spanish footballer who plays as a central midfielder for La Liga club FC Barcelona, and the Spanish national team. Iniesta came through La Masia, the Barcelona youth academy, and impressed from an early age. He made his first-team debut in 2002, aged 18. He began playing regularly during the 2004–05 season, and has remained in the side ever since. He was an integral part of the Barcelona side in 2009, the only time which a club has achieved six titles in two seasons. Iniesta played for Spain at Under-16, Under-19 and Under-21 levels, before making his international debut in 2006. Iniesta started the 2011–12 season by scoring the opening goal in the second leg of the Supercopa de España against rivals Real Madrid. Barcelona went on to win the match 3–2 and the cup on agg. 5–4. On 19 October, Iniesta scored one of the best goals in the Uefa Champions League group stage after a good interchange of passes with Lionel Messi. On 17 March 2012, playing against Sevilla FC at Estadio Ramón Sánchez Pizjuán, Iniesta equaled Emilio Butragueno’s record of 50 matches unbeaten streak in Spanish La Liga. On 24 March 2012, Barcelona defeated RCD Mallorca 2–0, marking Iniesta's 51st match unbeaten in the league. After a long goal drought of goals in the Champions League, he scored a vital goal against AC Milan in the quarter final. From there he went on to score in the semi finals against Chelsea FC to make it 2–0, but however Chelsea FC came back and the game ended 2–2. Iniesta was named the "Best Player" of the 2011–12 UEFA Champions League. Lionel Andrés "Leo" Messi (Spanish pronunciation: [ljoˈnel anˈdɾes ˈmesi], born 24 June 1987) is an Argentine footballer who plays as a forward for La Liga club FC Barcelona and the Argentina national team. He serves as the captain of his country's national football team. By the age of 21, Messi had received Ballon d'Or and FIFA World Player of the Year nominations. The following year, in 2009, he won his first Ballon d'Or and FIFA World Player of the Year awards. He followed this up by winning the inaugural FIFA Ballon d'Or in 2010, and again in 2011, and 2012. He also won the 2010–11 UEFA Best Player in Europe Award. At the age of 24, Messi became Barcelona's all-time top scorer in all official club competitions. Messi started the season by lifting the Spanish Supercup with Barcelona, scoring three goals and providing two assists in a 5–4 aggregate win against Real Madrid. His vital interventions continued in the next official match played against Porto when he scored again following a weak back pass from Fredy Guarín before setting up Cesc Fàbregas to give Barcelona a 2–0 victory and the UEFA Super Cup, then the only official competition that remained for him to score in. After scoring his first goal of an eventual hat-trick in an 8–0 rout against CA Osasuna, Messi produced a special celebration for Soufian, a 10-year-old Moroccan boy with Laurin Sandrow syndrome, a rare medical condition that can eventually lead to the loss of the lower extremities. Whilst Messi usually points to the sky after scoring a goal, Messi slapped his thighs as a dedication to Soufian. In August, Messi became the second highest goalscorer surpassing László Kubala on 194 goals, being behind only to César Rodríguez on 232 goals in all official competitions. On 28 September, Messi scored his first two Champions League goals of the season against BATE Borisov, becoming Barcelona's second highest goalscorer in its history, tying László Kubala, at 194 goals in all official competitions. He surpassed that record when he scored two goals against Racing Santander. He became second in Barcelona's La Liga goalscorers list with 132 goals, one more than Kubala. He scored his 200th Barcelona goal and two more as part of a hat-trick in his next game against Viktoria Plzeň in the Champions League. Messi scored a brace in the Club World Cup Final against Santos FC and was recognized as the man of the match and also awarded the Golden Ball for his performance during the tournament. Messi won the 2011 UEFA Best Player in Europe Award, beating his FC Barcelona team-mate Xavi Hernández and Real Madrid's Cristiano Ronaldo. Messi won the 2011 FIFA Ballon d'Or, again beating his team-mate Xavi and Cristiano Ronaldo. By winning the FIFA Ballon d'Or again, Messi become the fourth player to win three Ballon d'Ors, after Johan Cruyff, Michel Platini and Marco Van Basten and the second player to win three consecutive Ballon d'Ors, after Michel Platini (although two of his Ballon d'Ors are FIFA Ballon d'Ors, which he won consecutively). Messi also won the IFFHS World's Top Goal Scorer award, with 19 goals in 2011. On 19 February 2012, Messi, on his 200th La Liga appearance, scored four goals against Valencia CF in a 5–1 win. On 7 March, Messi became the first player to score five goals in an UEFA Champions League match since the tournament's re-establishment in 1992, helping the defending champions Barcelona win 7–1 against Bayer Leverkusen. On 20 March, Messi scored three goals against Granada CF, making him FC Barcelona's leading goalscorer in official competitions, surpassing club legend César Rodríguez, who had previously held the record with 232. On 3 April, Messi scored two goals from penalty kicks against Milan in the second leg of the Champions League Quarter-final, allowing him to surpass his personal record, joint with Ruud van Nistelrooy, of 12 goals in a single UEFA Champions League season. These goals allowed him to tie José Altafini's record of 14 goals in a single European Cup season in the 1962–63 season, before the tournament's re-establishment as the UEFA Champions League in 1992. Messi was unable to score in the semifinals, although he provided an assist in the second leg, as Barcelona were knocked out to eventual winners Chelsea. During the second leg match, Messi missed an important penalty, hitting the crossbar. The goal would have put Barcelona ahead on aggregate. On 11 April, Messi scored his 61st goal of the season against Getafe CF, and made two assists. On 2 May, Messi scored a hat-trick against Málaga CF surpassing Gerd Müller's record (67 goals in 1972–73) with 68 goals, and thus becoming the best goalscorer in history in one season in Europe. It was the 21st multi-goal game of the season for Messi and his seventh La Liga hat-trick. He then scored four goals on 5 May against RCD Espanyol to take his tally to an unprecedented 72 goals, in the process becoming only the second player to pass 70 goals in a first division season since Archie Stark of Bethlehem Steel in the American Soccer League in 1924–25. On 25 May, he scored again in the 2012 Copa del Rey Final, helping Barcelona win their 26th Spanish Cup title, and increasing his seasonal goalscoring record to an unmatched 73 goals in all competitions. This was also Guardiola's last match as Barcelona's manager, and the Cup win marked Messi's second Copa del Rey title, after losing the final the year before, as well as his 14th Barcelona trophy during Guardiola's four seasons at the club. Although Barcelona failed to win their 4th consecutive Liga title under Guardiola, finishing runners up to arch-rivals Real Madrid, Messi finished the 2011–12 season as the top goalscorer in La Liga for a second time, with a Liga record of 50 goals. He was the second best assist provider in La Liga that season with 16 assists, after Mesut Özil, who managed 17. He also ended the season as the UEFA Champions' League Top Scorer for a fourth consecutive time, with 14 goals. He was one of the top assist providers of the tournament with 5 assists and finished the season with 73 goals and 29 assists in all club competitions, with more goals and assists than any other player. Francesc "Cesc" Fàbregas Soler (Catalan pronunciation: [ˈsɛsk ˈfaβɾəɣəs], Spanish: [ˈθesk ˈfaβɾeɣas]; born 4 May 1987) is a Spanish footballer who plays for FC Barcelona and the Spanish national team. Fàbregas plays mainly as a central midfielder but has also played as a winger or a second striker on some occasions. He has been nicknamed "The Fab Four" by the Spanish media on account of his name and number. On 15 August 2011, Barcelona signed Fàbregas for an initial fee of €29 million with a further €5 million in variables. ending one of the most protracted transfer sagas in recent times. Statistics show that in the 5 years prior to Fàbregas's departure from Arsenal football club, Fàbregas created 466 goal-scoring chances, made 75 assists and scored 30 goals, all 3 statistics topping those of new team mates Xavi Hernández and Andrés Iniesta despite both having made more appearances in the same period. Fàbregas joined a team that had won three La Liga titles in a row and two Champions League titles in three years, and one that featured the likes of Lionel Messi, Xavi Hernández, Andrés Iniesta, and David Villa. He made his debut in the second leg of the Supercopa de España, coming on as a substitute against Real Madrid. Barcelona won the tie 3–2 and 5–4 on aggregate. He scored his first goal in a 2–0 win against FC Porto as Barcelona won the 2011 UEFA Super Cup, and his first league goal on his league debut against Villarreal CF. He went on to score three more league goals in the month of September, including a late equaliser in the 2–2 away draw to Valencia. Fàbregas then spent the majority of October sidelined with a hamstring injury picked up on international duty. He made his return, and scored, in a 4–0 away victory to FC Viktoria Plzeň in the Champions League. He then made his league return in the 2–2 draw away to Athletic Bilbao, getting a goal in the same match. Fàbregas then went on to score a brace in a 5–0 home victory against Levante before netting in a 3–1 away victory against Real Madrid. Fàbregas later scored against Santos to help Barcelona to a 4–0 victory in the 2011 FIFA Club World Cup final. Fàbregas got another brace in a 4–0 victory against CA Osasuna in the Copa del Rey. He also scored in the semi final of the competition against Valencia to help Barcelona to the final with a 3–1 win on aggregate. He kept a regular run in the Barcelona side for the rest of the season, including appearances in both semi final legs of the 3–2 aggregate defeat to Chelsea F.C. in the Champions League and a substitute appearance in the 3–0 victory against Athletic Bilbao in the Copa del Rey final. Fàbregas ended his first season at Barcelona by winning the 2011–12 Copa del Rey, 2011 Supercopa de España, 2011 UEFA Super Cup and the 2011 FIFA Club World Cup, notching 15 goals and 20 assists in 48 appearances in all competitions. Xavier "Xavi" Hernández i Creus (Catalan: [ˈ(t)ʃaβi ərˈnandəz i ˈkɾɛws], Spanish: [ˈtʃaβi erˈnandeθ i ˈkɾewθ]; born 25 January 1980), is a Spanish footballer who plays as a central midfielder for La Liga club FC Barcelona, and the Spanish national team. Xavi came through La Masia, the Barcelona youth academy, at the age of 11. He made his first-team debut in 18 August 1998. Since then he has played 697 matches, scored 78 goals and made more than 180 assists for over 50 players. Xavi is the first player in the FC Barcelona's history to play 150 international matches. He was an integral part of the sextuple-winning Barcelona side in 2009, the only time which a club has achieved six titles in a year. Xavi began the 2011–12 season in fine goalscoring form and seemed to grow in his influence of the team despite the long anticipated return of Cesc Fàbregas and the promotion of Thiago Alcântara to create added competition for places in Barca's star-studded midfield. On 18 December, in the final of the Club World Cup (4-0 against Santos), Xavi scored a goal and made a perfect assist to Lionel Messi, after the ball was slightly behind him, Xavi brought the ball down with a cocked leg, effectively using his ankle to control it, before slipping a pass through to Messi, who scored the first goal. Xavi scored the winning goal in the Group H game against Milan, a vital match for Barcelona's progression in the UEFA Champions League. Alexis Alejandro Sánchez Sánchez (Spanish pronunciation: [aˈleksis ˈsantʃes]; born 19 December 1988) is a Chilean footballer who plays for La Liga side FC Barcelona and the Chile national team as a forward. The Chilean star's debut season for the blaugrana was heavily plagued with short-term injuries. Sanchez made his debut on 14 August 2011 against arch rivals Real Madrid in the 2012 Supercopa de España first leg away match, and picked up a thigh injury after a tough challenge by Marcelo. Barcelona won the tie 5–4 on aggregate. He made his return two weeks later as a substitute in the 2012 UEFA Super Cup, won by Barca 2–0. Alexis then started the opening match of La Liga, at home against Villarreal CF, and scored his first goal in a 5–0 win. A week later, on 10 September 2011, he was stretchered off after 30 minutes following a challenge from Dani Estrada in a La Liga match against Real Sociedad. Sánchez returned on 1 November 2011 in an away match against Viktoria Plzeň. He also scored against Real Madrid on 10 December 2011 to equalize the game which they went on to win 1–3. On 14 February 2012, Sánchez scored the first and second UEFA Champions League goals of his career in Barcelona's 3–1 victory against Bayer 04 Leverkusen. On 2 October he scored the first goal for Barcelona in a 0-2 win against Benfica. Pedro Eliezer Rodríguez Ledesma (Spanish pronunciation: [ˈpeðɾo roˈðɾiɣeθ leˈðezma]; born 28 July 1987), commonly known as Pedro or Pedrito, is a Spanish footballer who plays for FC Barcelona and the Spanish national team, as a forward or winger. He usually plays the ball with his left foot but is actually right-footed. He can play on either side of the pitch, and even fit in as a target man; he is excellent at finding the right position and has a strong long-range shot. On 5 July 2011, Pedro extended his contract by one year, until 2016. His buyout clause was raised from €90m to €150m. After the purchase of Alexis Sánchez and the emergence of youth players like Isaac Cuenca and Cristian Tello, he featured less during the 2011–12 season, also being afflicted with some injuries; he did finish the campaign with 13 official goals, scoring a brace in the season's domestic cup final, a 3–0 win against Athletic Bilbao.